RFS BBQ: Motorfest Donations to local community groups. WHILE the date has already been fixed in stone for next year’s Motorfest in Hawks Nest, the culmination of this year’s event was played out at the headquarters of the Rural Fire Service in Tea Gardens last weekend. Every year Motorfest raises money for a number of local community organisations. This year was no different with more than $9,500 raised from the event. Representatives from the Pindimar/Tea Gardens Rural Fire Service, Tea Gardens/Hawks Nest Surf Life Saving Club and the Clinic Bus all gathered at the RFS to receive their donated cheques. “All paid special thanks to the Motor Club Executive and members for their efforts in staging Motorfest 2019,” Motorfest’s Publicity Officer, Phil Hoare said. 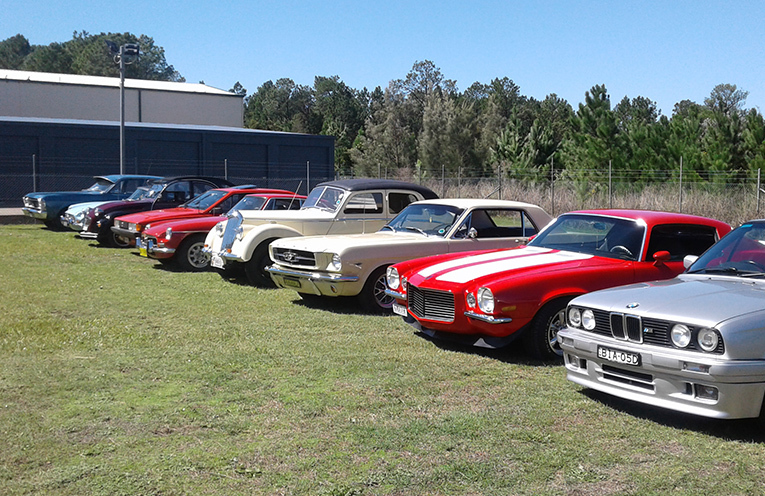 Also in attendance were Motor Club members who displayed a fantastic line up of some of the Clubs Members vehicles. 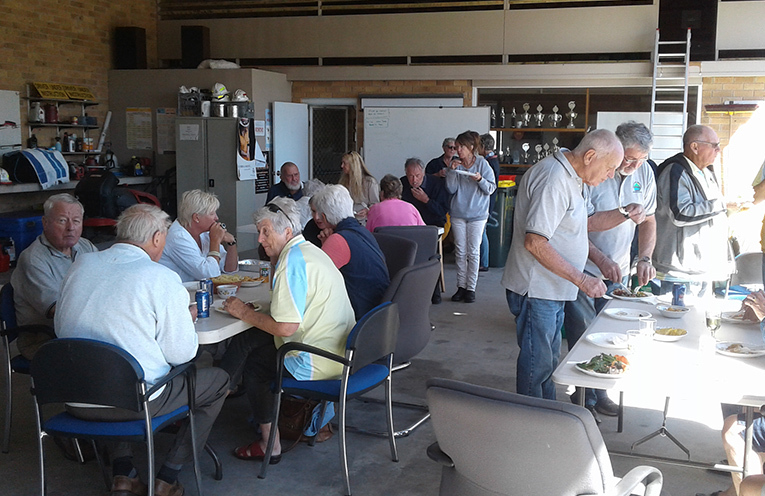 The presentation was followed by a delicious BBQ lunch cooked up by the RFS volunteers. RFS HEADQUARTERS: Tea Gardens Motor Club vehicles on display.